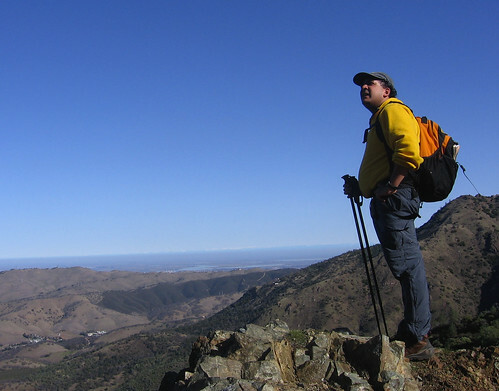 My pal Vindu from work, most of the way up Mount Diablo. Snowy Sierra peaks were vaguely visible way off to the east. A great winter for long views. Original post: “The Long View,” Jan. 7, 2007. 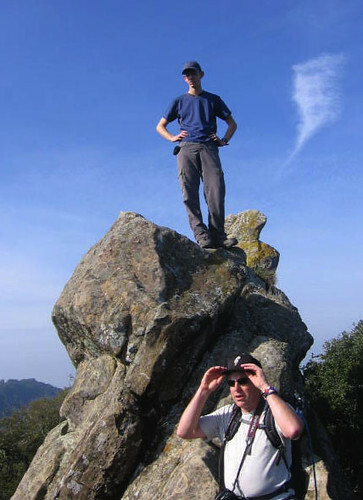 Two-Heel Drive regulars Randy F., above, and Tom C. at Las Trampas Regional Wilderness for the Groundhog Day Invitational. Other regulars who came along: Dan Mitchell, Winehiker Russ, Tom the Gambolin Man, 4WheelBob and somebody I’m forgetting. Original Post: “Groundhog Day Invitational Pix,” Feb. 3, 2007. 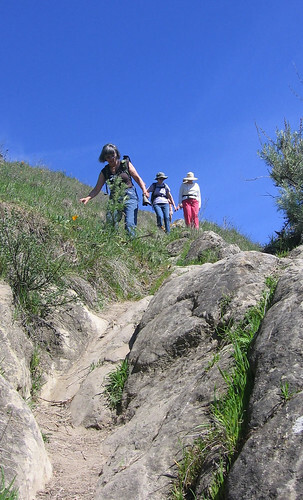 Coming down the tortuous Flag Hill Trail at Sunol Regional Wilderness with Mike and Kathy Wimble’s FOMFOK hiking club. Original post: “The people you meet on the trail,” March 19, 2007. Through-hiking the 28-mile Ohlone Wilderness Trail in two days with Steve Sergeant (right) and a Sierra Club acquaintance of his. 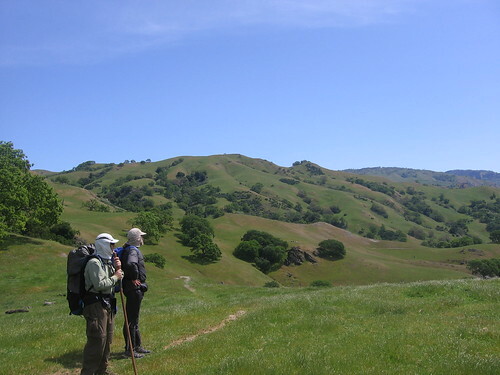 Original post: “Two days on the Ohlone Wilderness Trail,” April 16, 2007. 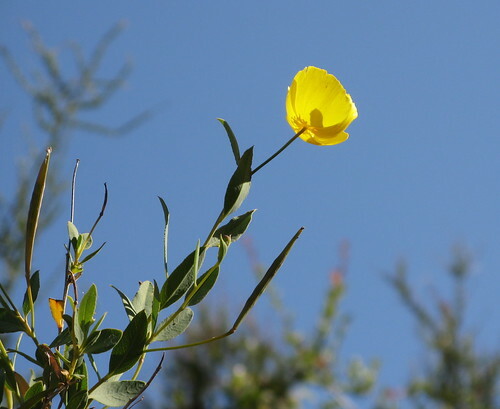 Sun fills a flower at Castle Rock State Park. One of my favorite shots of the year. Original post: “New camera alert,” May 18, 2007. 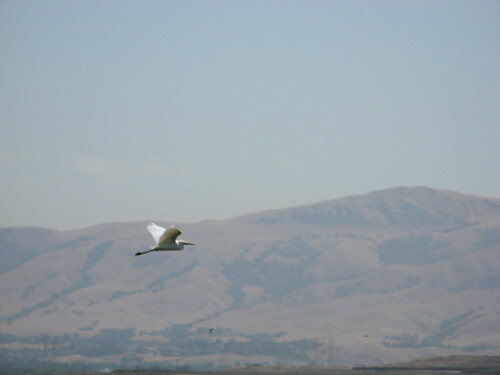 Yet another fave: an egret taking wing at Don Edwards San Francisco National Wildlife Refuge. Original post: “Watching some waterfowl at Don Edwards National Wildlife Sanctuary,” July 10, 2007. 4WheelBob near the White Mountain summit, an adventure for the ages. This pic appeared on the front page of the San Jose Mercury News and in several other local rags. 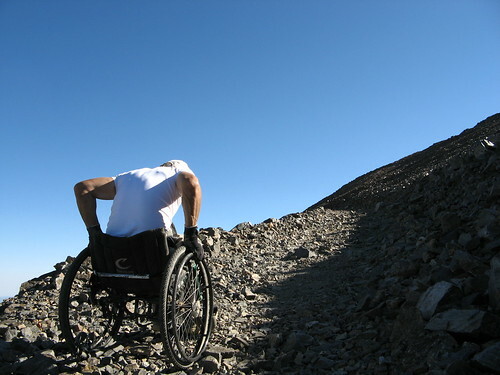 Original post: “Favorite images from our White Mountain Adventure,” August 26, 2007. 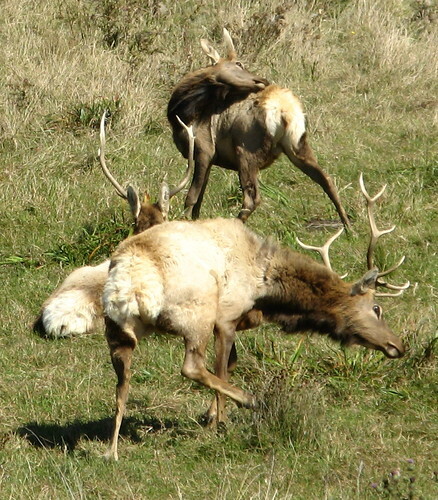 Tule elk bulls scratching their itches along the Tomales Point Trail at Point Reyes National Seashore. Original post: “All day on the Marin Coast,” Sept. 27, 2007. 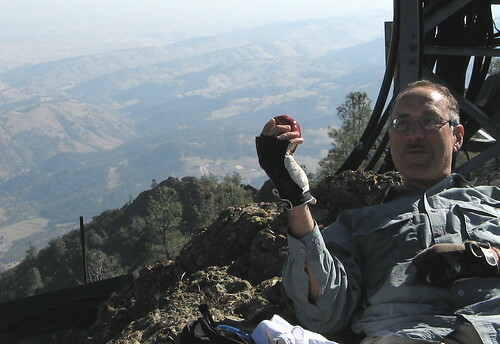 Rick of Hike Halfdome Fame enjoys an apple at the North Peak summit at Mount Diablo State Park. Original post: “Diablo Three Peaks, again,” October 29, 2007. 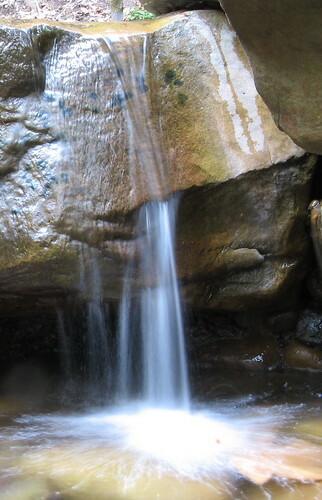 Spilling creek water at Uvas Canyon County Park. Original post: “Uvas Again,” Dec. 17, 2007. 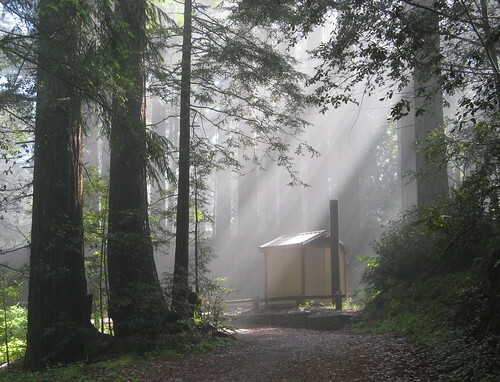 Some day there will be a contest for the best picture of a CA state pit latrine and you’ve got a sure winner there. Very nice pictures. I haven’t been by in a while. I always swear I’m going to start my own hiking blog after seeing your’s — it’s very motivating. Maybe 2008 will be the year. ‘Twas a heckuva year for me, no question, thanks to a lot of help from Tom, Rick, Cheryl and Greg. Wait’ll I get 2008 firmed up….it’s bound to be even better! I do love those EBRPD meet-ups. Now that I’ve moved to Albany, Las Trampas isn’t quite the easy bike ride it was previously, but allow me to suggest Tilden (it’s almost newt season! ), Wildcat Canyon (panoramic views of the City, and Mt Diablo’s north side), or Redwood (trees and views, trees and views). 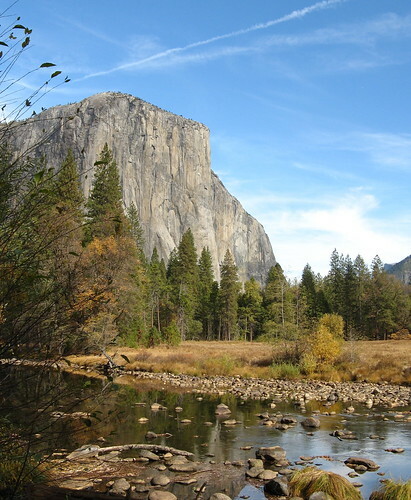 I think you’ve mentioned Sibley, too; every Bay Area hiker has to walk the labyrinths. Excellent photo retrospective, Tom. We live on a pretty amazing patch of the world. Thanks for sharing your experiences with us all.